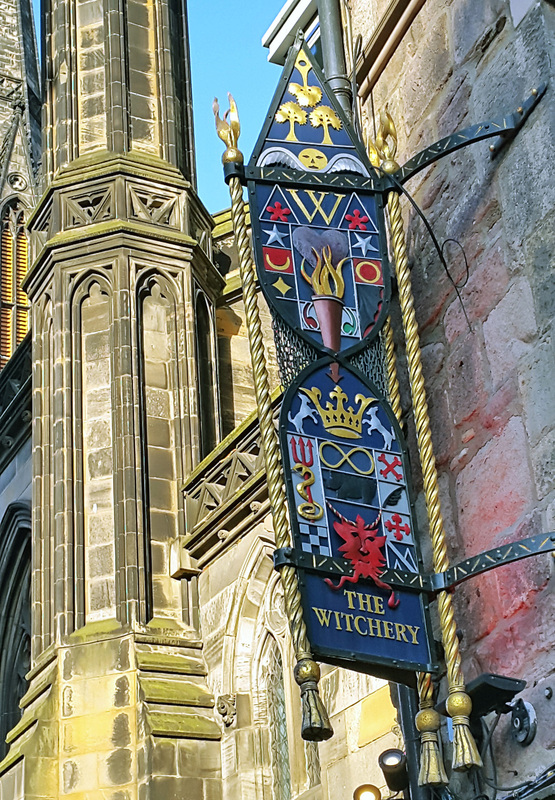 The Witchery is situated in an ideal location and sits directly beside the Castle at the top of Edinburghs Royal mile. 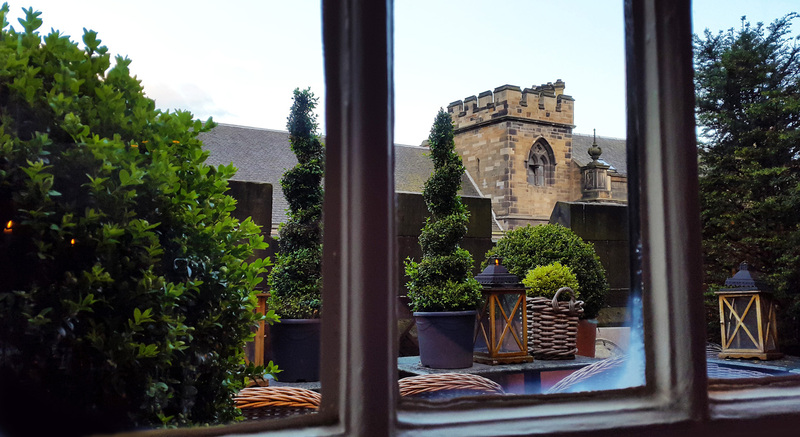 The hotel and restaurant are immaculate and have managed to keep their unspoiled character since the place was built in the 16th century. The locals say that it`s one of the cities best kept secrets and i`ll second that one. There`s no electric visually present inside the two restaurants ( The Witchery and The Secret garden ) so once it gets dark outside then the real ghostly atmosphere begins to work its magic. 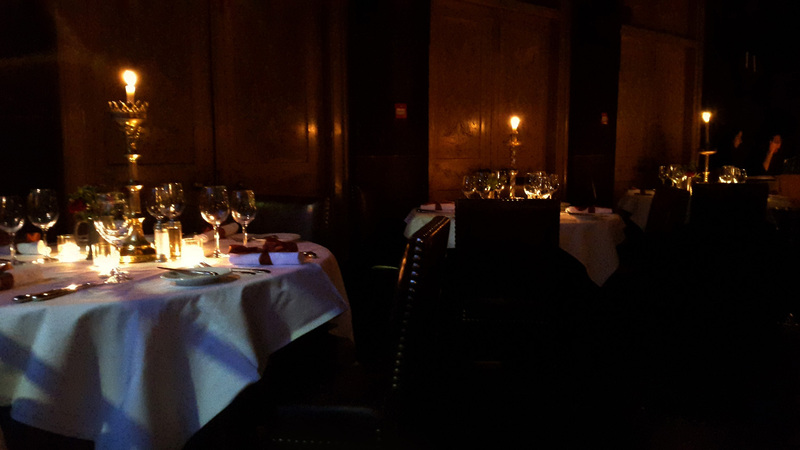 As a diner you`ll be eating at the Witchery by candlelight so it all adds to the romance and history of old world Edinburgh. Black tunnels and entrances , dark wood and stone walls , tapestries , red leather and well selected antiques all add to the astonishing feeling of being transported back in time. Whilst i`m on the subject then ill also mention that if you decide to stay here then book well in advance. The rooms are so impressive that they`ve been awarded a top place in the “wonders of the hotel world“, They really are world class and like nothing I`ve ever seen before. Every one furnished with care and totally unique from the other. It`s really is like walking onto a movie set. For the romantics and hot lovers out there then just go ahead and book. Take it from me , you won`t be disappointed. It might just spark a marriage back into life again. During my visit I chose to eat in the Secret garden restaurant . I`ve eaten there before and love the atmosphere. Entry to the dining area is via a “Pulpit” reception and then down a stone staircase. If you`re wanting to make a grand entrance then this is the place to do it in style. 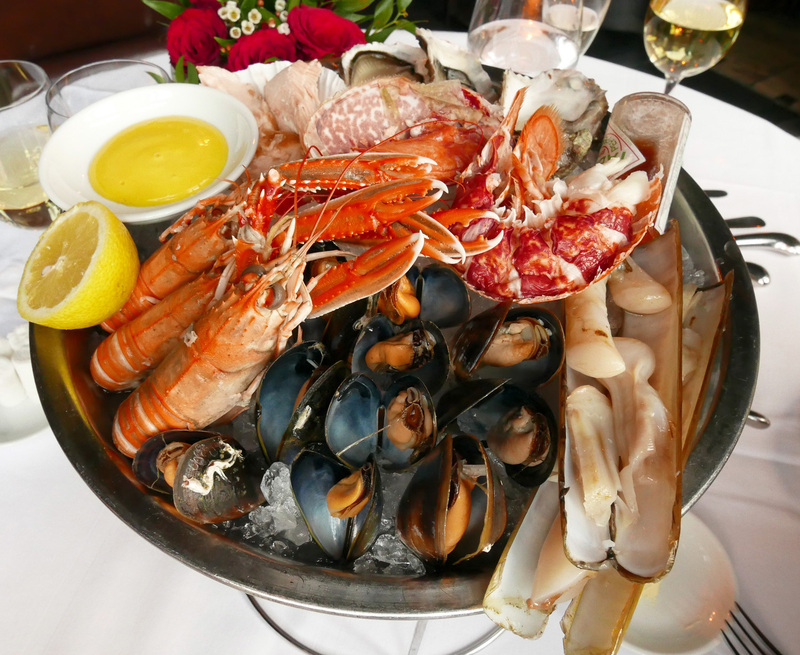 Our starter was a traditional Scottish Seafood platter consisting of Oysters , Langoustines , Razor Clams , Mussels , Half a lobster and hot smoked salmon. Served on crushed ice with Lime Mayonnaise, Shallot wine vinegar , Tabasco and fresh Lemon. Always guaranteed to impress the guests with this visually pleasing money spinner. Probably costing around £10 to put together but priced to sell at £ 45. Not a lot of food at £22.50 per person but all fresh and a good start to proceedings. 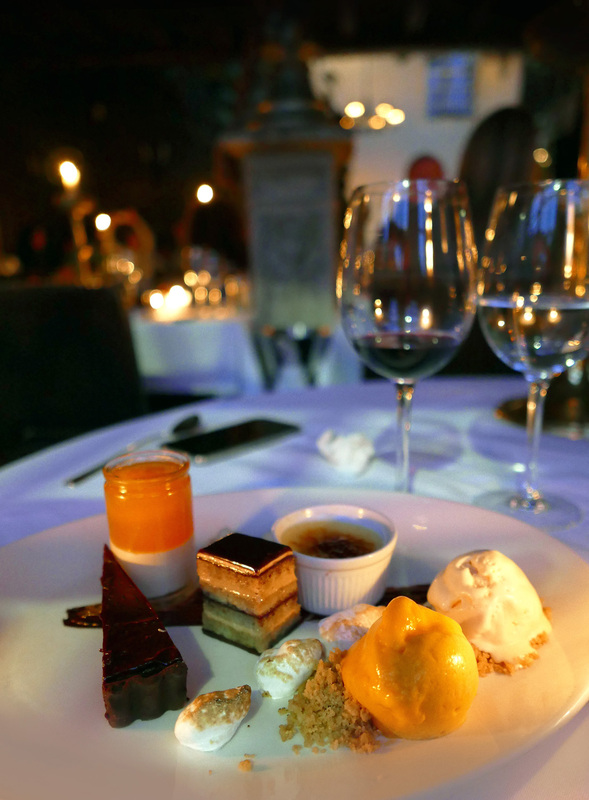 Witchery pudding selection – A pleasant and sweet ending to dinner but not one to win any awards for innovation. This dessert “tasting” has been on the menu for years and seemed to be pretty popular. I was actually wanting to see some traditional Scottish classics on the menu like Cranachan , Shortbread , Scottish “world class” fruits and Cream crowdie but all that I had to choose from was a not very local Belgian Chocolate , Mango , Vacherin , Coconut brulee , Biscotti , Marscapone , Basil ice cream and Key Lime. I decided to go for the “Tasting” dessert and overload on a combination of everything for £12…. My sweet spot satisfied. So my overall views on the Witchery. It`s an extremely popular dining location in the heart of the historic area , a stones throw from the Castle. The restaurant itself is stunning , Gothic , romantic and very moody. Food in the past has been very good but on this occasion it wasn`t. 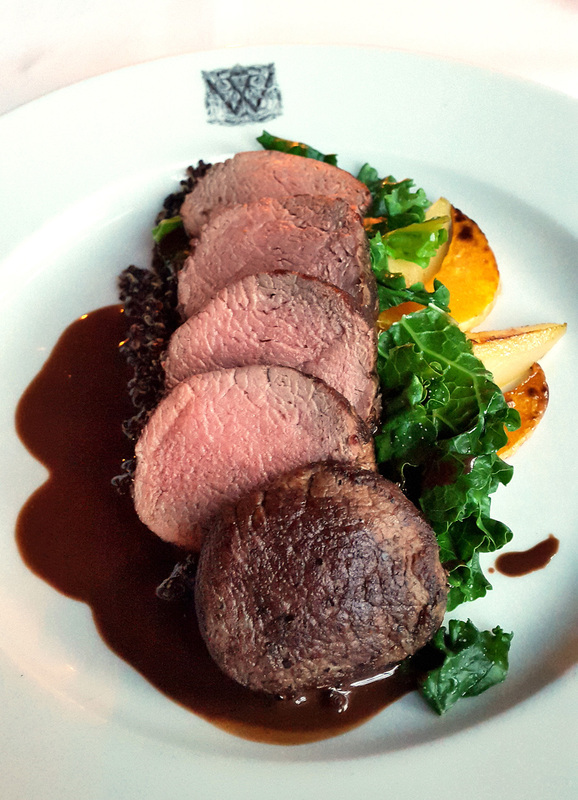 The menu doesn`t seem to change a lot but the ingredients are very fresh, traditionally Scottish and sourced from around the country. The service during my visit was very poor but friendly enough. We arrived at The Witchery at 8.00 and our starter arrived 45 minutes later. We waited a further 45 minutes for our main courses and then 30 minutes for dessert. Previous Post The Red Denia Prawn….Best in the World ? Next Post Castle Terrace – Edinburghs finest. That duck looks pretty nasty! 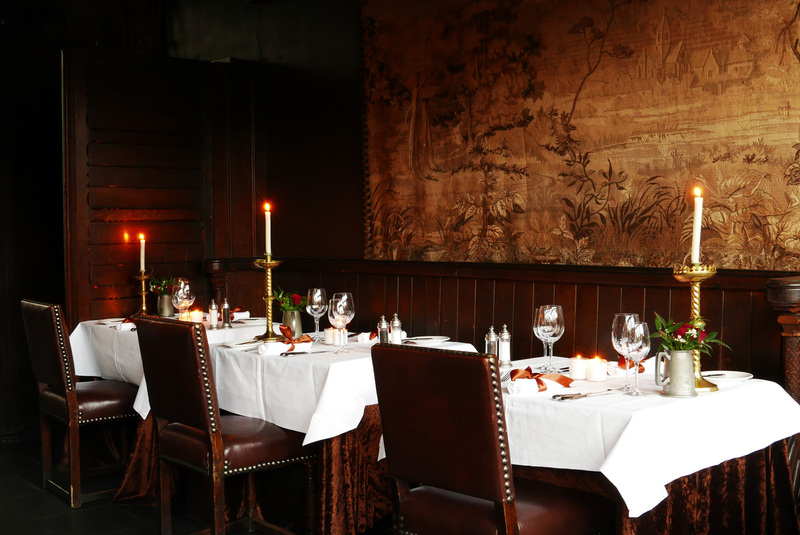 I think every European city has a restaurant like the Witchery. Heavily marketed to tourists as being traditional and historic and ‘the city’s best’ etc, but actually highly overpriced, dull food with grumpy tourist-beleaguered staff. Locals wouldn’t touch it with a barge pole. Their sister restaurant – The Tower – is equally cynical, although I hear Prestonfield is good, which your blog (I’m a big fan) seems to confirm. Get back to Martin Wishart or the Kitchin. 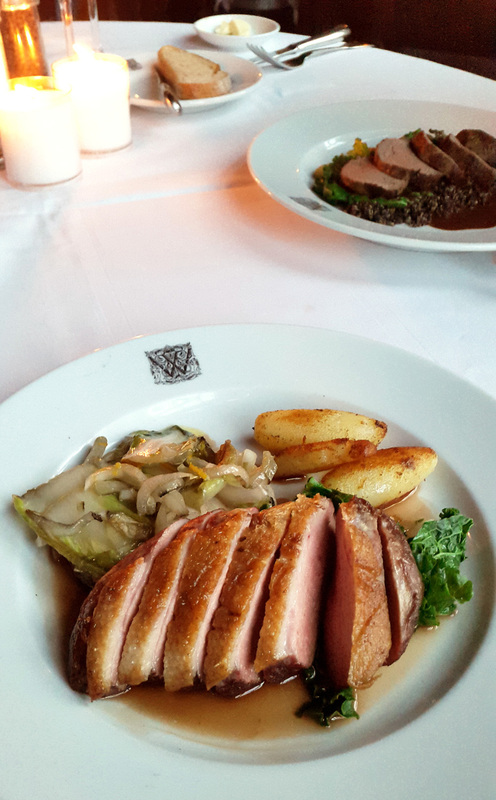 Or for candle-lit historicalness, Anfora (also in Leith) has recently set up shop in the oldest commercial building in Edinburgh – and the food is excellent. Thanks very much for the info. Definitely need to get to the Kitchin , I reckon itll be awesome during autumn.